the standard we work to acheive every day. The best available equipment, procedures, and people enable Campos Brothers Farms to deliver California’s finest almonds with industry-leading operational efficiency and reliability. Whether natural or manufactured, every almond from Campos Brothers Farms is individually handled to your exact specifications. Every almond order from Campos Brothers Farms is individually handled to exact customer specifications. Premium quality in our products and our service is the standard we work to achieve every day. All product to adhere to the following specifications unless otherwise noted at the time of contract. Product description: Natural US Extra No. 1 consists of shelled almonds specified below. Packaging: 50lb net corrugated cardboard cartons are sealed with a hot melt gun and labeled with Campos Brothers Farms. 2,200lb fiber bins and super sacks are also available. Optimum storage conditions of 32° to 40°F (0° to 4.4°C) at are ideal for almonds. This information is meant to be used as a guideline only. Storage conditions (exposure to light, weather, proximity to other products, moisture, etc.) can cause shelf life variability and should be taken into consideration. Safety: All products are processed, stored, and shipped in accordance with good manufacturing practices outlined by the U.S. FDA. In addition, Campos Brothers Farms is an SQF 2000 level 2 certified facility. Product description: Natural US Supreme consists of shelled almonds specified below. Product description: Natural US Select Sheller Run consists of shelled almonds specified below. Product description: Natural sliced almonds are shelled, cleaned, well dried and free from excessive defects, damage, and foreign material. Flavor/Aroma Typical almond flavor, free from rancidity, off flavors or odors. Texture Very firm bite with a firm chew. Color Natural brown skins with creamy white to golden brown meat. Packaging: 25lb net corrugated cardboard cartons. 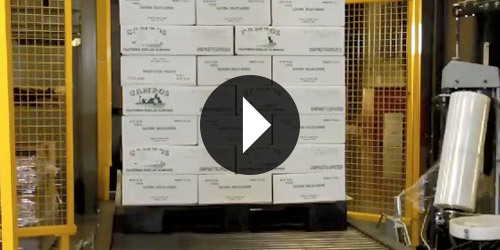 Cartons are sealed with 2” tape and labeled with Campos Brothers Farms label. Also available are 2,200lb fiber bins. Optimum storage conditions of 50°F (10°C) and 50-60% relative humidity are ideal. This information is meant to be used as a guideline only. Storage conditions (exposure to light, weather, proximity to other products, moisture, etc.) can cause shelf life variability and should be taken into consideration. Product description: Blanched diced almonds are shelled, cleaned, well dried and free from Excessive defects, damage, and foreign material. Color Creamy white to tan. Packaging: 25lb net corrugated cardboard cartons. Cartons are sealed with 2” tape and labeled with Campos Brothers Farms label. Product description: Blanched fine diced almonds are shelled, cleaned, well dried and free from excessive defects, damage, and foreign material. Product description: Blanched almond powder is well dried and free from excessive defects, damage, and foreign material. Product description: Blanched sliced almonds are shelled, cleaned, well dried and free from excessive defects, damage, and foreign material. Packaging: 25lb net corrugated cardboard cartons. Cartons are sealed with 2” tape and labeled with Campos Brothers Farms label. 2,200lb fiber bins are also available. Product description: Blanched slivered almonds are shelled, cleaned, well dried and free from excessive defects, damage, and foreign material. Product description: Blanched whole almonds are shelled, cleaned, well dried and free from excessive defects, damage, and foreign material. Packaging: 50lb net corrugated cardboard cartons are sealed with a hot melt gun and labeled with Campos Brothers Farms. 2,200lb fiber bins are also available. Product description: Blanched whole and broken almonds are shelled, cleaned, well dried and free from excessive defects, damage, and foreign material.